OHIO -- A husband and wife charged with animal cruelty both entered plea agreements in the Hillsboro Municipal Court on Friday. The Times-Gazette previously reported that John Ward, 48, and Lori Ward, 42, both of Hillsboro, were charged after numerous dogs and cats were allegedly found in “extreme unsanitary conditions,” according to an affidavit. Both pled guilty to the second-degree misdemeanors. The state recommended suspended sentences on the condition that they forfeit the animals and possess no animals during their probation periods. “But you didn’t do anything about it except make it worse,” McKenna told him. The judge asked Lori Ward if she had been living in the same residence as the animals. She said that she and her husband were, at times, living there and spending the night. Ninety-day jail sentences were suspended on each case with the conditions of the agreements. Also suspended were $750 fines. The Wards will each have to complete 80 hours of community service. They will be on non-reporting probation for five years, which, according to McKenna, is “as long as I am allowed” to place a defendant on probation. 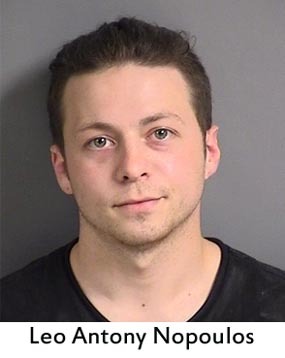 CONNECTICUT -- A pet shop owner in Danbury has been charged with animal cruelty after two animals had to be put down. 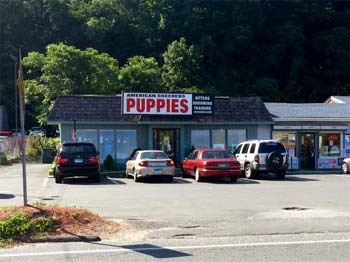 Police said Richard Doyle, 55, of Mahopac, NY, owns the American Breeders pet shop on Federal Road and two others in New York. They said they began investigating Doyle after an employee complained in March that animals were being mistreated. One of the allegations claimed that Doyle performed a surgical procedure on the eye of a Neapolitan Mastiff when he is not licensed to do so. The dog sustained severe bleeding after the procedure last March, which Doyle allegedly performed in the rear of the pet shop. Police said the employee gave them photographs documenting the dog's condition. She said she was made to treat animals and administer shots when she also is not licensed. Doyle is also accused of confining a seriously ill exotic kitten and not giving the animal help from a vet, so police said it needed to be euthanized. He's also charged with failing to provide proper care to a sick shih tzu puppy that needed help back in April. He'd brought the animal to Danbury from one of his New York stores and left it in the care of an employee, police said. Without proper treatment for vomiting, diarrhea and coughing, police said the puppy also had to be euthanized. 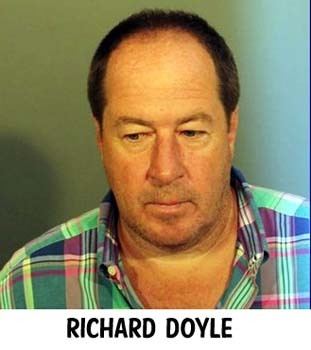 Doyle was arrested on Monday through a warrant. Police said he was released on a promise to appear in Court on Aug. 6. They said animal cruelty charges are also pending against one of Doyle's store managers, Kathy Seton. 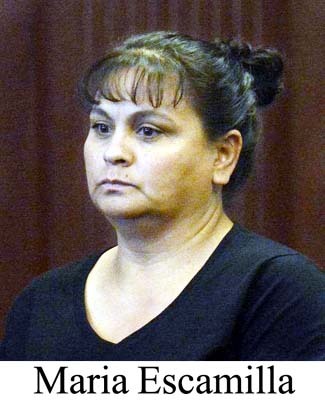 NEW MEXICO -- A woman whose three dogs attacked a Ventana Ranch man and killed his dog while they were on a walk last April was supposed to face separate criminal charges Wednesday alleging she allowed two of her dogs to run loose several weeks after the attack. But the public defender representing Maria Escamilla said he wasn’t prepared to go to trial, and Metro Court Judge John R. Duran agreed to continue the case until Sept. 15 – even though witnesses were in court and ready to testify. Escamilla, who was also in the courtroom, is facing two counts of unlawfully allowing an animal at large. Instead of a jury, the judge was to hear the case. The role of prosecutor is being handled by the animal welfare supervisor who filed the charges. The April 27 attack on Jack Cash and his dog, Duncan, prompted the city’s Animal Welfare Department to file an initial criminal case against Escamilla that is set for trial Aug. 21 before another judge. 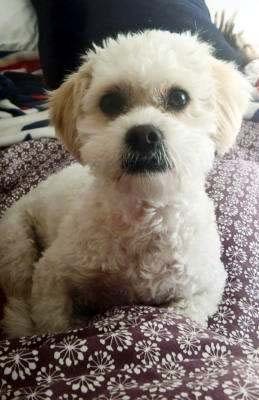 In a related administrative proceeding, the city declared Escamilla an irresponsible dog owner after her dogs killed the Maltese and bit Cash, who said he also suffered a shoulder injury from trying to save his dog. The criminal case related to that attack includes charges of keeping an animal known to be vicious and liable to attack human beings. The second criminal case arose after Cash and his girlfriend, Jennifer Braziel, went back to the scene of the attack, near Escamilla’s house on Acton Court NW, on May 4 to take photos. The couple reported to Animal Welfare officers that they saw a woman exit the home to take out trash. Two dogs from inside the home walked outside behind her. One of the dogs was a pug, and the other was a boxer; both were unleashed, the couple reported. Under city ordinance, animals aren’t supposed to be off a leash, even if accompanied by an owner. Animal Welfare Lt. Chris Romero told the Journal on Wednesday that a photo the couple took of the unleashed dogs was enough to establish probable cause to file the criminal charges against Escamilla, who has pleaded not guilty. Two of the three dogs involved in the earlier attack on Cash were pit bulls, and the third was a boxer. Cash said it wasn’t clear whether the boxer he and Braziel saw on May 4 was the same boxer involved in the earlier attack. Romero, Escamilla, Cash and Braziel all appeared for a trial on the charges Wednesday only to learn that assistant public defender Maxwell Pines wasn’t prepared to proceed. Pines said he hadn’t taken witness statements from Cash and Braziel. Romero told the judge that discovery materials were furnished to the Public Defender’s Office on July 2. Duran, noting how “busy” Pines was, agreed to the continuance. The Ventana Ranch attack prompted complaints from neighbors who demanded the three offending dogs be permanently removed from the home. 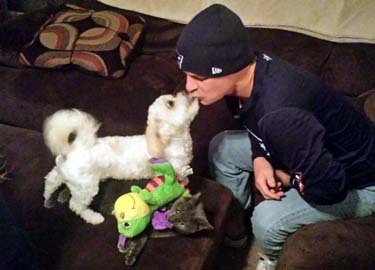 dogs that mauled the 2-year-old Maltese were returned to their home. That hasn’t happened, partly because there was no history involving the dogs or Escamilla in Animal Welfare files. City officials, meanwhile, are considering ways to strengthen the law. The city also has declared the three Escamilla dogs as dangerous, which requires they be kept in a secure area and on a leash when outside the home. Escamilla testified in the administrative case that she didn’t consider the three dogs involved in the fatal attack to be vicious. 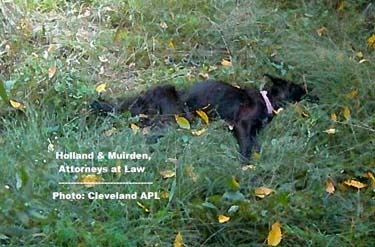 OHIO -- State of Ohio v. Christina Davis and Delores Davis, a case prosecuted for the Cleveland Animal Protective League. Delores Davis and Christina Davis, sisters, were charged with one second degree misdemeanor count related to the starvation death of their dog. The dog was found deceased and emaciated in their yard. The sisters stated they relied on neighbors to provide them with free dog food. 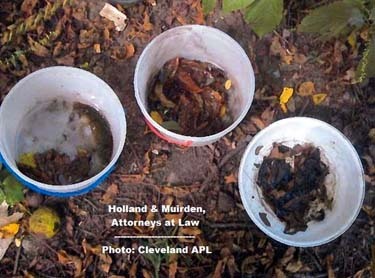 The dog's bowls contained only filth and leaves. AUSTRALIA -- Two dogs have raided an animal pen at a popular cafe and restaurant in the lower Blue Mountains and mauled a number of farmyard pets to death. Barney the sheep and four chickens were killed when the dogs, believed to be Staffordshire terriers, dug their way into the animal pen, located on the grounds of 2773 in Glenbrook, late on Tuesday night. 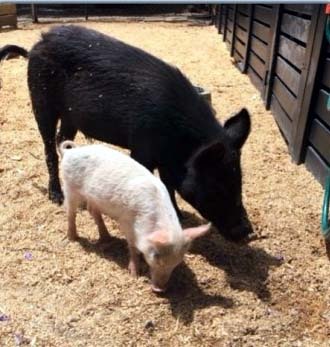 Two pet pigs, Missy and Morris, were also mauled but survived the attack, which police said took place just after midnight. Blue Mountains City Council said it was the second time the dogs had been involved in a fatal attack on an animal this year. In May, the same dogs killed a goat, a spokeswoman for the council said. 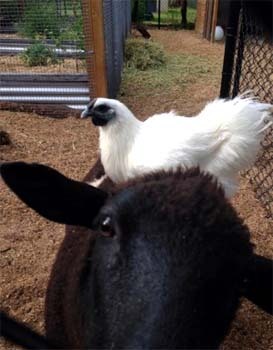 Dave Clark, the restaurant manager at 2773, said the farm animals were popular with children and their families who visited the premises on Ross Street. "The animals are a huge part of what we have here. The families and kids interact with them," Mr Clark said early on Wednesday. He said the chickens were "decimated, they were destroyed". "The pigs were mauled pretty badly last night, too. They're alive, I can see them moving, although they're not very mobile this morning," Mr Clark said. "Missy has got puncture wounds on her hind legs where they've really held her down, and a puncture wound in the middle of her back, quite bad. "Morris, because he is bigger, has tried to fight them off. He has got wounds around his snout and on his back legs. She is nudging him now. He has got his ears up; he's OK, but he is not moving." The pigs were treated for their injuries on Tuesday night, and a veterinarian will return on Wednesday to provide further treatment, he said. A NSW Police spokeswoman said a neighbour on Ross Street heard noises coming from the cafe just after midnight and went to investigate. 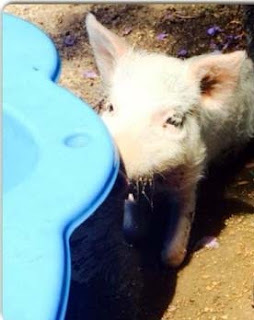 The woman told police she saw two dogs attacking the pigs and yelled at them to stop. The dogs backed off, and the woman called police. Mr Clark said he received a call just after midnight to say the animals had been attacked. When he and the cafe owner arrived at the cafe, the two dogs were still in the animal pen. "They had forced their way in but couldn't get out again," he said. He said a council ranger arrived and read the dogs' microchips and contacted the owner, who came and collected the dogs. Mr Clark said the dogs' owner was "devastated" and "shaken up". "We're obviously very upset about our animals. What do you do? We don't want to make that decision [about what happens to the dogs]. Of course we're upset, but you know, it's got to be the call of the police and the council." A NSW Police spokeswoman said the dogs had been secured, and the Blue Mountains City Council would work with the dogs' owner to determine further action. The council said in a statement that the dogs' owner "is known to [the council] due to a previous incident in May 2015". The dogs are declared "menacing" in accordance with the Companion Animals Act 1998, the council said. The dogs are in the possession of their owner while police and the council determine what action will be taken. OHIO -- A 5-year-old girl mauled by an Akita required more than 200 stitches, family members say. But it wasn’t the first time the dog attacked a child. Now, her parents are questioning the state’s dog laws. Adara was bitten Tuesday while she was with her mother, Gretchen Smith, visiting a friend on Groop Road near Springfield. Adara had seven lacerations, from 2 to 4 inches long. “You could actually see her scalp and skull,” Smith said. The dog apparently has a previous bite history. “I had no idea that this dog previously bit the grandson of the owner’s face and gave it 42 stitches, and they never put it down then,” Smith said. The Clark County Sheriff’s Office responded and took a report, but could not seize the dog because the attack happened inside its home. The previous incident involved a family member, so authorities didn’t need to step in. “Because of the extent of the injuries, we are going to deem the dog vicious,” said James Straley, director of the Humane Society Serving Clark County. However, there is a question whether the laws apply when the incident happens inside, Straley said. The case now is in the hands of prosecutors to decide whether to file charges or seek to euthanize the dog. Meanwhile, the dog’s owner wants to keep her pet. Michael Sullins, the girl’s stepfather, and Smith said they don’t agree with the family keeping the dog. UNITED KINGDOM -- The Scottish SPCA is appealing for information following a ‘disgusting case of animal cruelty’ when five newborn kittens were left for dead in a at a rubbish tip in Fife. The animal welfare charity was alerted after a member of the public came across the cats, which were only hours old at the time, dumped in a bag at Lochhead Landfill Site, in Dunfermline on Tuesday. Tragically three of the kittens died in the ordeal. The two surviving kittens were transported to the charity’s animal rescue and rehoming centre at Peterden near Dundee, where they have been successfully bonded with an adult cat who has recently given birth. Animal rescue officer Joanna McDaid said: “This is a disgusting case of animal cruelty. 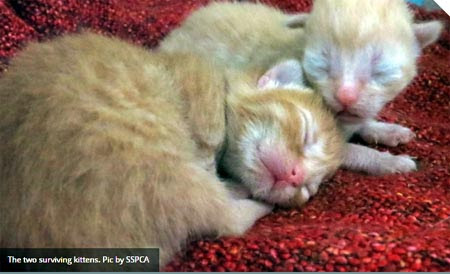 The helpless kittens were only hours old and found with their umbilical cords still attached. “They were cleaned up, checked by a vet and fed before being wrapped up warm. “Abandoning an animal is a very serious offence, but to do so by callously dumping newborns like rubbish and leaving them to die is extremely cruel. “We also have concerns for the mother cat as we do not know what has happened to her. RHODE ISLAND -- The Ulster County Sheriff’s Office and animal welfare investigators are looking for a pair of dogs, believed to be pit bulls, which attacked llamas in High Falls. According to the llama’s owner, who asked not to be identified, the attack occurred around 1:45 a.m. on July 23 when she was awakened by the shrieks of one of the animals. When she went outside, she said, she spotted her llama on the ground with a dog on top of it. Another dog joined in the fray when she grabbed a shovel to defend the llama. The woman said the dogs turned their attention to another llama and continued the attack until her husband shot one of the animals with a .22-caliber rifle. The dogs ran off leaving two llamas with serious lacerations and deep-tissue wounds. Sheriff’s deputies followed a blood trail into nearby woods but were unable to find the dogs. The property owner said both dogs were silver-and-gray pit bulls wearing matching purple body harnesses with red reflectors. 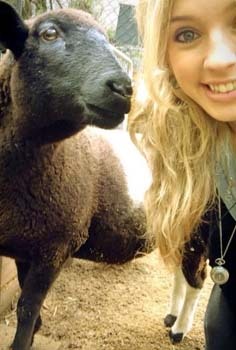 She said the animals appeared to be well cared for. Sheriff Paul Van Blarcum said deputies had asked local vets to be on the lookout for the dogs and conducted a canvass of local dog licenses and animal attack reports. So far, he said, they had not turned up any leads. Van Blarcum added that the Ulster County SPCA is assisting with the investigation. Anyone with information about the dogs is asked to call the Ulster County Sheriff’s Office at (845) 338-3640. SOUTH CAROLINA -- A North Charleston man’s pit bull attacked his wife Sunday and tore her arm off. Katherine Rizk, 48, of Ayscough Road, is “not doing well” after her arm was amputated from the elbow down, according to her husband Mahmoud Rizk. She remains in the intensive care unit at Medical University Hospital. The dog, named Tiger, was euthanized Monday by the Charleston Animal Society after Rizk voluntarily surrendered him, according to a police report. The organization declined to comment about the incident. Rizk said he had Tiger for three years, since he was a puppy, and that the pet had never been aggressive before. He said Tiger had been on a golf course earlier Sunday and was cut, and speculated the dog snapped after his wife pressed on the wound while petting him. 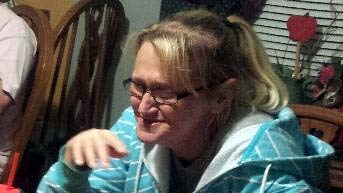 Katherine Rizk was at their home in Wescott Plantation while her husband was gone, which is when the dog attacked. Officers responded just after 10 p.m. and found the white-and-brown dog with blood stains on his mouth and lower body, according to the report. One officer distracted the dog, while another rushed to Rizk, who was on the sidewalk, to apply a tourniquet to her arm. The officer who tended to Rizk declined Monday to comment about it. He described in the report that the damage to Rizk’s left arm was almost up to her armpit, and that she was losing a lot of blood. Witnesses helped the officer, with one tending to the woman’s head and another applying another tourniquet to her legs, where she had more injuries. It was also a witness who called 911 in an attempt to help Rizk after hearing her screams for help while walking his Labrador retriever. Hugo Montoya said he lives around the corner from the Rizks but doesn’t know them personally. He expressed concern during a Monday phone interview about Rizk after what he saw. It wasn’t until another man drove by, stopped and threw a guitar stand at the dog that he released Rizk from his clenched jaw. Montoya said he thought the pet would attack everyone around, but instead retreated into the home. Officers were able to lock the dog in a bedroom until Animal Control arrived, according to the report. Mahmoud Rizk arrived a short time later and initially declined to relinquish the pet. Tiger was in Rizk’s custody overnight until he gave him up the next day. He said Monday that his wife hopes to get a prosthetic arm and that they hadn’t been told yet when she would be released from the hospital. Katherine Rizk wasn’t feeling well enough to comment. 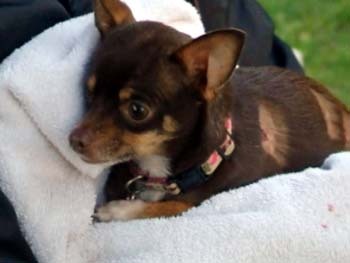 MISSOURI -- The Kansas City Police Department and Kansas City Animal Control rescued a small Chihuahua dog from a hot car. Police say the dog was rescued at around 2:30 p.m. Saturday in the parking lot of a Famous Footwear. The dog is fighting for its life, an employee of the store told 41 Action News. An adult at the scene was issued a citation by animal control, according to police. 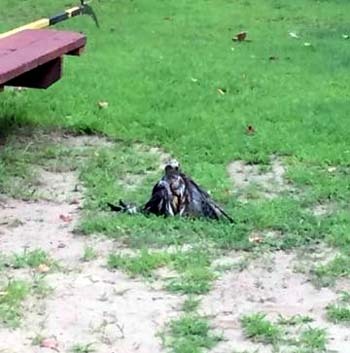 MASSACHUSETTS -- A hawk in Massachusetts was treated to an impromptu salon day after it fell into a pool. 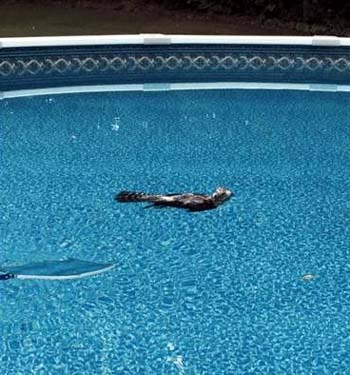 Ken Buzzell was mowing his lawn on Thursday evening when he noticed something unusual—a hawk in his pool. The Merrimac resident used his pool’s leaf skimmer to rescue the raptor while his wife Kathy called Animal Control. The problem is, Animal Control in Merrimac isn’t equipped to handle wild animals, according to a statement from the Merrimac Police Department. But it was after hours, so Animal Control Officer Lisa Young stepped up. When Young arrived almost two hours later, the hawk was still shivering from its dip in the deep end. Although it was standing and didn’t appear to have any injuries, it had hypothermia. Young used a hair dryer provided by Kathy to warm up and dry out the sopping bird. They covered it with blankets inside a dog crate for the night. When Kathy opened the crate the next morning, the hawk took flight. MISSOURI -- An animal sanctuary organization says it could have found a home for a nuisance black bear that Missouri game officials decided to euthanize Monday. Scott Smith, manager of Turpentine Creek Wildlife Refuge in Eureka Springs, Ark., said he already has seven bears in captivity and couldn’t take any more. Smith said Turpentine Creek Wildlife Refuge had worked with the Missouri Department of Conservation in the past taking in several bobcats. Turpentine Creek focuses mainly on large cats, but has taken in six black bears and one grizzly bear in recent years. “It’s not the practice of the Missouri Department of Conservation to pass problem animals on to other people,” he wrote. 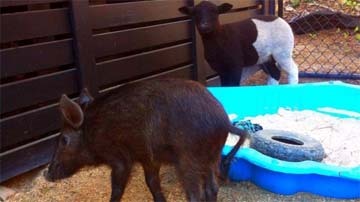 Kellie Heckman, executive director of Global Federation of Animal Sanctuaries, said her organization accredits sanctuaries like Turpentine Creek to make sure they are qualified to keep and care for wild animals. Because there are so many black bears that are taken in as pets — and their owners can no longer care for them — Heckman said it can be difficult, but not impossible, to find long-term space at a sanctuary. Smith, the Turpentine Creek refuge manager, said bear and mountain lion populations are increasing in both Arkansas and Missouri, and he hoped game officials would develop a better plan to deal with nuisance animals than euthanizing them. Why couldn’t the Christian County black bear have been shipped to a zoo or relocated somewhere deep in a forest instead of being killed? MDC’s decision to euthanize the healthy 250-pound black bear that had been fed by humans and lost its fear of people sparked more than 160 Facebook comments — many from people upset the bear wasn’t placed in a zoo or moved elsewhere. But according to MDC bear researcher Jeff Beringer, relocating a bear that’s become used to getting food from humans poses a lot of problems. Beringer said finding a zoo or rescue facility willing to take a wild bear could be an option, if there were any openings available. Mike Crocker, director at the Dickerson Park Zoo in Springfield, said the zoo already has two black bears and no room to accommodate a third. Crocker said the zoo acquired its two black bears when they were very young, including one that was rescued as an orphaned cub from a Missouri farm where cattle were trying to stomp it. Because black bears readily reproduce in captivity, Beringer said there is no shortage of captive animals for zoos. 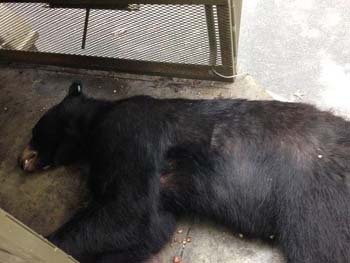 Beringer said complaints about the bear prompted MDC to trap the animal and put it to sleep. Although Missouri has no laws against feeding nongame animals like bears, Beringer strongly urged people not to because it causes the animals to lose their fear of humans and associate people with an easy source of food. FLORIDA -- A puppy that was thrown off a second-floor balcony in Pompano Beach on the Fourth of July is expected to make a full recovery. 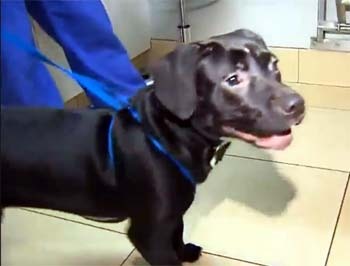 The Lab mix is recovering at Coral Springs Animal Hospital. 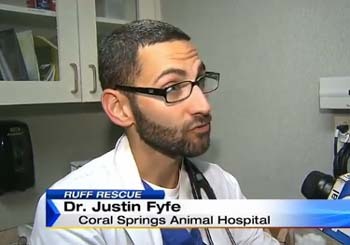 Dr. Justin Fyfe said the puppy is lucky to be alive. Fyfe said she suffered scrapes between her eyes and bruising and scrapes on her legs. Robert Noel, 29, was arrested on a charge of causing cruel death, pain and suffering to an animal. According to the arrest report, Noel admitted to throwing the dog over the railing. "I went crazy," Noel said in the report. Noel said the dog, which belonged to a friend with whom he was feuding, wouldn't leave his apartment, "so he started to strike the dog" before throwing her over the balcony railing, the report said. "The dog was located nearby, cowering and scared," the report said. "The dog had some bleeding coming from her nose." Detectives said they are still investigating. It's not known when the puppy will be reunited with her owner. Missouri: After attacking a teenager last year, Shannon Cottrell's Pit Bull mix was deemed dangerous. She knowingly endangered a 17-month-old baby by bringing him into her home where the dog was. The dog attacked the baby, scalping him. MISSOURI -- A baby was attacked and scalped by a dog yesterday and it turns out that this isn't the first time this Pit Bull mix has attacked a person. 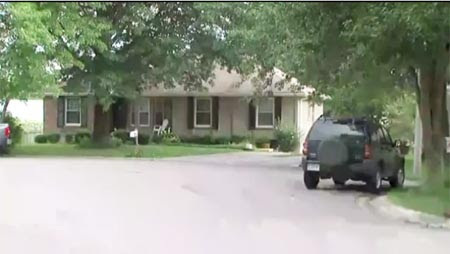 In a Lee’s Summit Animal Control report obtained by FOX 4, it shows that on Wednesday, October 1, 2014, the two-year-old Pit Bull - Boxer mix known as Leo, and owned by Shannon Cottrell bit a neighbor, a 17-year-old girl. The bite was reported by the teen’s mother. 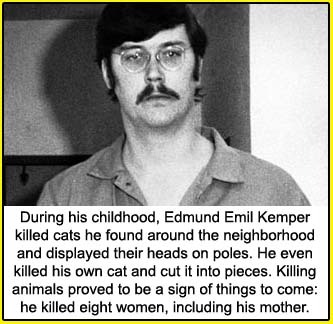 The animal control investigator arrived at the hospital to gather information from the neighbors and then filed a report on the bite. The teen was bitten around the neck and face area. The girl had gone over to a friend’s house to visit. When the dog bite victim pretended to ‘play kick’ her friend and then bent over laughing, the dog lunged at her and grabbed her around the face and throat area. The friend was able to grab the dog and pull him off. After the accident, the teen’s mother received a call from Shannon Cottrell, the dog’s owner. The teen’s mother did not want the dog put down over the incident. She was informed the dog would be quarantined for the required ten days. When Leo was brought in for quarantine, it was discovered that his rabies vaccination was overdue by more than seven months. At first, the teen and her mother thought she would have to have surgery, but on October 3, the investigating officer with animal control learned she did not need surgery. When the officer inquired about the injuries to the teen, the mother and her teen said that the teen had acquired two stitches on the left side of her face, in the area behind her ear. The doctor stitched that wound due to it being so deep, they said. The investigator was told it was large enough to insert your thumb. The other wounds were left open to heal. The injuries sustained on the teen’s neck were only approximately 1-2 ML from hitting her carotid artery, the teen’s mother reported. So why did this idiot mother say that she didn't want the dog euthanized? It says right in the article "The teen’s mother did not want the dog put down over the incident". It could have killed her daughter! You see what happens when these morons say they don't want to pursue the dog being put down they just want the owner to "keep the dog up". Well, duh. That's what everyone is supposed to do with their dogs. That's like telling the police you don't want to press charges against the guy who beat you up and mugged you; that you just want him to stop committing crimes. OH OK! That should do it! Leo’s owner, Shannon Cottrell was arrested Tuesday night related to the October 2014 case. She was written a nuisance animal ticket at that time. 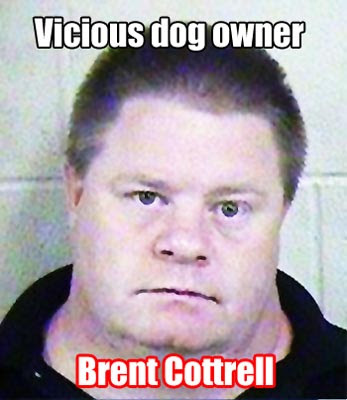 When information was presented to the prosecutor that Cottrell had relocated the dog to Greenwood and failed to notify Lee’s Summit Animal Control as required by the dangerous dog ordinance, the judge revoked her bond on the pending charge and issued a new warrant. 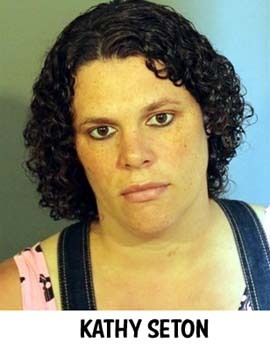 She was given a $3,000 cash-only bond. 1. The dog involved in Greenwood is the same dog that bit a person in LS in October of 2014. After that bite the dog was deemed a dangerous dog, per the LS ordinance. I got a copy of that bite report today from our Animal Control Unit and I have it in the review process as we speak for disclosure. Probably be late tomorrow before I have that report approved to release. During that bite incident, the owner was issued a citation for a public nuisance animal, that case is still pending in Municipal Court with a court date in August of 2015. 2. The owner of the dog relocated the dog to Greenwood without notifying LS Animal Control as required by the dangerous dog ordinance. Our animal control officers did a compliance check at the LS address where the dog was located in February of 2015 to confirm the owner was abiding by the conditions of the dangerous dog ordinance. Sometime after that, the woman relocated the dog to Greenwood. It is our policy that if the owner of a dangerous dog relocates the dog to another that we notify that city that a dangerous dog is being relocated into their city. We can’t do that if the owner does not notify us of the move, as required by the ordinance. 3. Sometime after the bite incident in Greenwood, the owners of the dog (Brent Cottrell and Shannon Cottrell) took it to a vet facility and had it euthanized - instead of waiting until police arrived and handing over the dog to them. We have confirmed that with the vet that euthanized the dog. That vet’s office is working with us to make sure that the dog’s remains are being tested for rabies as per protocol. 4. Greenwood PD is handling all follow up on the bite case, they are functioning as their own Animal Control unit, our Animal Control officer was only on scene as part of a mutual aid request to locate and impound the animal. We are not handling the bite report or investigation. 5. Information will be presented to the LS Prosecutor in regards to the relocation of the animal for the consideration of additional charges. 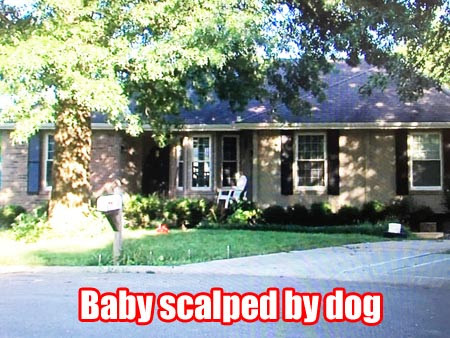 Missouri: Baby scalped by pit bull in horrific attack at owner's house. With no concern about the baby, the owner fled with the dog and has hidden it, say police. 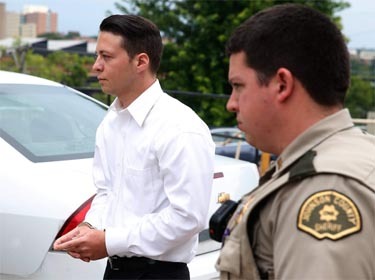 Iowa: Leo Nopoulos admits to torturing and trying to kill kitten for 3 HOURS. Judge gives him probation. IOWA -- An Iowa man who pleaded guilty to torturing his roommate's cat will not be going to prison. Instead, 21-year-old Leo Antony Nopoulos was sentenced to probation after authorities say he tortured the animal for hours. Video from last October captured Nopoulos throwing, punching and kicking the kitten for three hours. 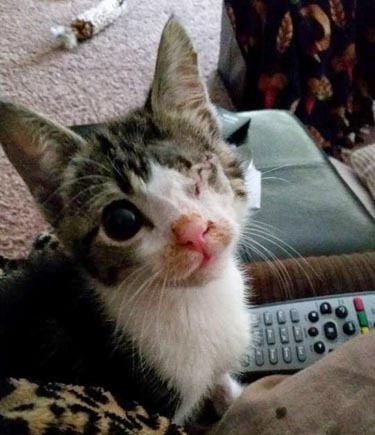 The abuse left the animal nearly blind in one eye. According to police complaints, Nopoulos threw the cat against the ceiling, punched and kicked the cat, and hit the cat with a can of air freshener and a remote control. Authorities called it a "horrific" case of animal torture. Tom Colvin, the executive director of the Animal Rescue League of Iowa, says two years of probation is not enough. He wants Nopoulos to go to prison. “We see the studies that basically connect someone that has the capability to do this to an animal, what can they do to people?” Colvin said. Colvin said he has been working to draft a bill that would toughen animal cruelty and animal torture laws in Iowa. He plans to introduce it in the 2016 legislative session. MISSOURI -- The baby boy mauled by a dog over the weekend in a Greenwood, Mo., home has had two traumatic events in his short life of 17-months. FOX 4's Robert Townsend learned that when Isaiah Francis was seven-months old, his mom took him to the hospital because his head started swelling. According to court documents, he was suffering from two skull fractures with bleeding on the brain. 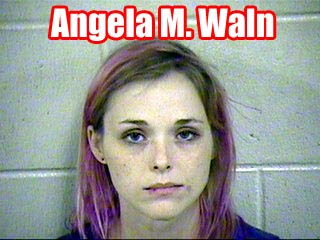 Grandview Police arrested his babysitter, Angela Waln, 28, shortly thereafter in September 2014 and prosecutors charged her with child abuse. She was due to be in court on those charges this week, but the prosecution requested a delay in that proceeding. 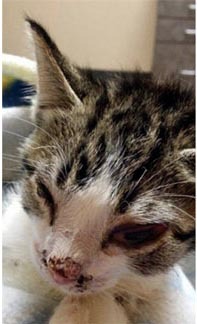 Now, ten months later, Isaiah is back in the hospital with a crushed jaw and numerous punctures and wounds from a dog attack. Charges could still be filed against the owner of the dog that attacked Isaiah in Greenwood early Saturday evening. 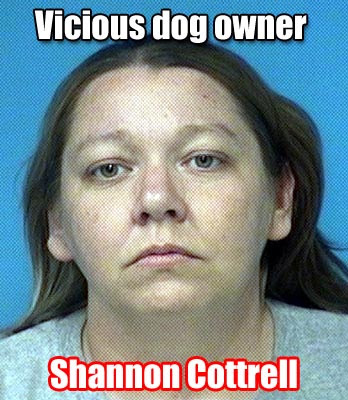 Police believe the owner Shannon Cottrell hid the dog, described by neighbors as a "pit bull mix" after it attacked the 17-month-old boy. Mike Mansur, spokesperson for the Jackson County Prosecutor's office says they are reviewing the case. The dog's owner was previously charged with animal nuisance in Lee's Summit, according to Lee's Summit Police. "It was the same dog that attacked the baby," said Chris Depue with Lee's Summit Police. Click here for additional information on the dog's history in Lee's Summit. According to a Greenwood Police Department, police were called to the home to help get the child to the hospital as quickly as possible; they did not wait for paramedics. The GoFundMe page set up to help the child's family pay his medical expenses, says the child underwent surgery over the weekend after his jaw was crushed and he suffered more than 60 puncture wounds from the attack. The owners CLAIM the dog was a "rescue with a rough past". 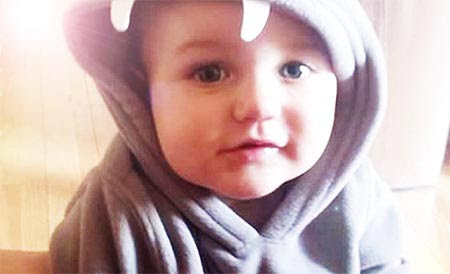 They CLAIM that the dog "did not handle stressful situations well" and that's why it tried to kill baby Isaiah Francis, who was apparently visiting the home where the dog lived. If all this is true this makes them even more criminally liable for recklessly endangering this baby, which resulted in it being nearly killed by their dog. "She was literally screaming, 'My baby, my baby is bleeding. Help, my baby, my baby,'…It was horrible," neighbor Michna Livingston said. The GoFundMe page says the child's scalp was ripped from his head and that the mother was covered in his blood. 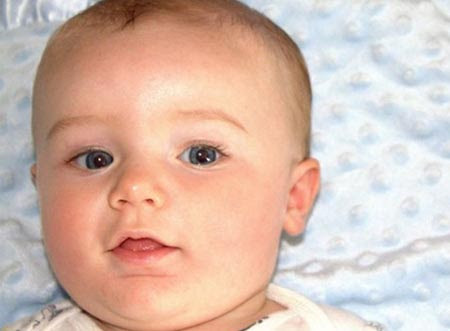 On Tuesday, the child was listed in good condition. Angel Raya stopped to check on an acquaintance that had recently had surgery. She entered the home carrying her beautiful one-year old son, Isaiah. He is an active little guy and wanted to be put down to explore so his mother placed him on the floor. It is important to note that there were NO dogs in the house when the mother set her child down. A minutes later, an older child that lives in the home opened a door and let a dog inside. The dog attacked her child before Angel could do anything. She fought the dog off of her child screaming to call the police. The mother then ran outside where neighbors heard her screaming, "please help me, please help my baby." She was covered in blood and literally holding his scalp to his head. Lt. Fordham of the Greenwood Police Department says police originally thought the dog was a pit bull. It was also described as a white dog of medium build. The dog was euthanized on Sunday. The investigation is ongoing and criminal charges may be pending. Police said they were led to believe someone in the home removed the dog from the home after the attack, taking it to an unknown location, and then returning without the dog. The location of the dog was withheld from police. The possible charges could be for concealing evidence and assault. Renita Masoner - What? This dog was loyal and protective of children. The Cottrells made him aggressive. Renita Masoner - That dog was very protective of children until they got their hands on him. Lisa D. Smith - Renita, you're such a LIAR! YOU were the previous owner! Stop making yourself look so ridiculous! Craig Brown - You need to turn yourself into the police. Craig Brown - So Renita is the one that gave it a "checkered past?" Renita Masoner - Chris, he wasn't dangerous until Shannon and Tyler got to him. Go screw yourself and you better remove that photo you took without my permission. Not sure what your ss is going to do, don't really care but the fact remains, they did this to him. Clearly in the pic you stole, you can see he was just fine around children before them. Renita Masoner - Um, let's see, Shannon had 12 cops with AR15s surrounding her house because she was belligerent. No I am not the checkered past, they are the ones that caused all of this. Leann Blydenburgh - So if the dog was euthanized why are they still looking for the dog? I'm confused. Leann Blydenburgh - So they are thinking that the receipt shown was for another dog? Dee Glen-White - You caught that too? Ellen Place Burger - No their first story about a stray dog attacked the child was a lie. Still holes in their story. 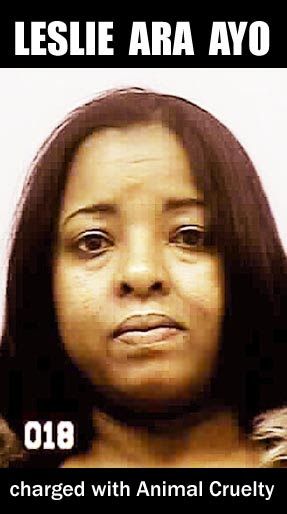 GEORGIA -- Leslie Ara Ayo, owner of Heaven’s Gate Kennels, has been convicted of animal cruelty and will spend the next five years on probation for cutting off the tails of eight Rottweiler puppies. Ayo entered a guilty plea Monday in state court to five counts of animal cruelty and one count of practicing veterinary medicine without a license, according to the Gwinnett County Solicitor’s Office. The case against the woman reportedly began in November 2013, when a veterinarian called the county’s animal control services to report eight Rottweiler puppies who were in severe condition after their tails had been cut off. One of the puppies died from injuries sustained from the tail-cutting, according to a (necropsy) post-mortem examination cited by the solicitor’s office. Investigators reportedly learned that the puppies’ owner contacted Ayo to remove her dogs’ tails and remove their dew claws. Ayo agreed to do the service for $150 and used scissors to perform the procedures inside the kitchen of a Lawrenceville home, the solicitor’s office said. “Speed advised all of the dogs were extremely bloody and it appeared that nothing had been placed on the open wound to protect from foreign objects and to stop bleeding,” the report states. 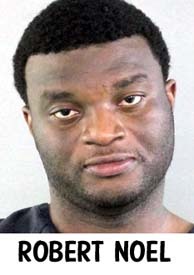 Two children were present as Ayo removed the 10-day-old dogs’ tails without anesthesia or pain medication; the puppies screamed in pain and bled profusely, the solicitor’s office said. After observing excessive hemorrhaging, the puppies’ owner took the dogs to a local veterinarian, who contacted police. Georgia law requires that only a licensed veterinarian conduct docking, the surgical procedure used to remove a dog’s tail. Veterinary practice also requires that the dog is between three- and five-days-old for the procedure. The surgery is condemned by organizations like the American Veterinary Medical Association and is banned or restricted in a number of countries, including the U.K. and Australia. Under the plea agreement, the solicitor’s office says Ayo, a resident of Fairburn, is required to serve five years on probation, pay a fine of $3,500, perform 240 hours of community service, have no contact with animals and surrender all state Department of Agriculture licenses. She is also subject to inspections by Gwinnett County Animal Control. Just want to let people know about my experience with Heaven's Gate Kennel (Owner Leslie Ayo). I bought a puppy from Ms. Ayo and on the way home from purchasing the puppy I had to take it to the vet. She was diagnosed with an UPPER RESPIRATORY INFECTION. The next day we had to take her back to the vet and she was diagnosed with PNEUMONIA. The puppy had to stay at the vet for several days. Did the breeder pay the bill? NO! NOT A DIME! The health of the puppy was guaranteed on the contract which has been taken off of Ms. Ayo's website. Recently, my puppy was diagnosed with EPILEPSY. As of this past Friday she was diagnosed with HIP DYSPLASIA. She is passing on some "good" genes!!!! Please investigate before you buy. My son-in-law bought a rottie puppy from Leslie Ayo 20 days ago when the puppy was 15 weeks old. Leslie told my son-in-law that the puppy was 12 weeks old and had all shots up to date. The Rottie became sluggish last night with diarrhea and vomiting. My son-in-law just took that baby to the vet and it was diagnosed with parvo. Anyone who knows anything about parvo knows that this is most often a death sentenced for dogs. Now, here is the worst of this terrible breeders evilness. The puppy that my son-in-law purchased was ill when he bought the dog, because the vet just confirmed that it takes 14 days from exposure before the dog shows signs of parvo. What is tragic is that we let this sick Rottie play with my English Mastiff puppy, not knowing the Rottie had the virus, and my puppy died last week of parvo. This breeder had the audacity to tell my son-in-law that she would not compensate for the expenses of a puppy that she sold sick. Well, we will see who gets the last word lady. I will use every legal outlet that I have to expose her neglectful practices. My daughter described her home as a puppy mill with dogs of different breeds everywhere. I am about to contact Animal Control to report this woman and we will let them decide if these dogs are sick or neglected. I owe my son-in-law's little Rottie and my own baby, who is now dead because of her faulty shot records and her neglect of dogs being sold sick, to fight through legal channels to get this kennel closed and the other dogs rescued. I intend to use every legal outlet including the media outlets to give my dog a voice after her death which came far too early. Clark Howard from our local news will be next so don't be surprised if you see Ms. Ayo on television being raided for running a puppy mill and selling sick dogs. Whoever else has been affected in negative ways by this women's neglectful kennel, please stand by because the law is on our side and I intend to use the law to bring this woman to justice on behalf of Treasure, my beautiful English Mastiff puppy. This Lady Leslie Ayo had the nerve to ask me for pictures of my current puppies then passed them off as hers to another breeder selling them for 4000 more than my asking price. She is a puppy Broker and puppy mill, she buys other peoples puppies then sells them to make a profit and a HUGE One! She needs to be put out of Business. Go to the Gwinnett Daily Post website and Google Leslie Ayo. March 2014 article stating that she "was charged with eight counts of animal cruelty in March 2014 for 'inhumanely removing the tails of eight puppies, ' one of whom later died." Another article in the same newspaper reports: "State records show that she was also charged with practicing veterinary medicine without a license." Ms. Ayo can deny the accusations made by former customers all she wants but she wouldn't have made the HSUS's Horrible Hundred 2015 unless the problems at her kennel were well documented. There are an estimated 10, 000 puppy mills in the United States so to stand out among this large number makes a pretty big statement. 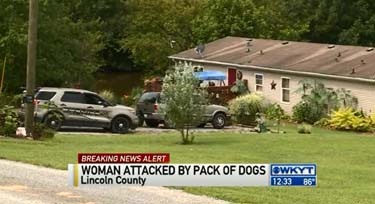 KENTUCKY -- Seven dogs released back to a Danville man last week and moved to Lincoln County escaped their kennels Monday, ran amok in a neighborhood and attacked a woman near Tom Hackley Road. 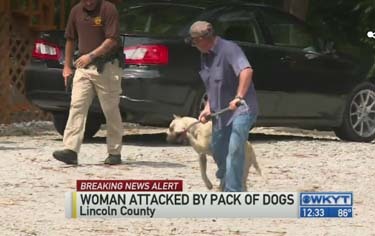 Numerous witnesses said the woman, identified as Loretta Stevens, 46, went out to her garden and was attacked by the dogs. 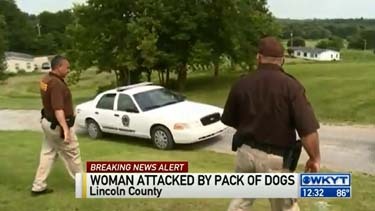 Her own dogs reportedly fought back until law enforcement could arrive. Stevens was airlifted to the University of Kentucky's Chandler Medical Center, where she is listed in fair condition. Lincoln County Sheriff Curt Folger said Stevens sustained "very, very, very severe" injuries to her arm. He also said she sustained puncture wounds to her legs. According to Folger, the dogs were able to escape their kennel by chewing through the bottom of the fence. According to Dan Turcea, director of Boyle County animal control, five of the seven dogs were recovered and transported to the Lincoln County Animal Shelter Monday morning. Two dogs remained loose for some time. Folger said they were "actively searching for the dogs." The dogs' owner, Christopher Pope, was not located. 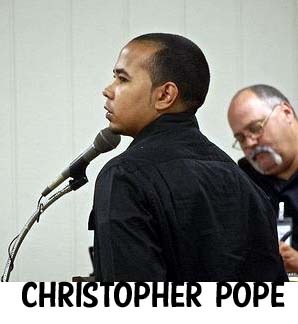 "Chris Pope is nowhere to be found," said Turcea. Folger said he hadn’t made contact with Pope as of 10:45 a.m. but he plans to charge him with harboring viscious animals. Turcea said David Snyder, Lincoln Co. animal control, arrived on the scene, called Turcea and said he was unable to step out of his vehicle because of the large Presa Canario dogs. At 3 p.m., Turcea confirmed that six dogs had been captured and were being housed at Lincoln animal shelter. One dog was shot and killed, according to Turcea. Stevens daughter, Trivia Hebrocks, called from the hospital Monday morning, distraught, and said her mother "has lost half her arm." Hebrocks said her mother "played dead" to get the dogs to stop attacking her and then called her own parents, who called 911. "If she hadn't played dead, she would not have survived, I know it," said Hebrocks, who added that she was grateful because her 6-year-old son was supposed to be with Stevens Monday morning, but plans were changed. Hebrocks said the family will seek justice. "I want something done about this," said Hebrocks, who added that turkeys she raises on the property at 53 Julian Lane are still missing. Her two Great Pyrenees dogs that helped fight off the Presa Canarios were uninjured. 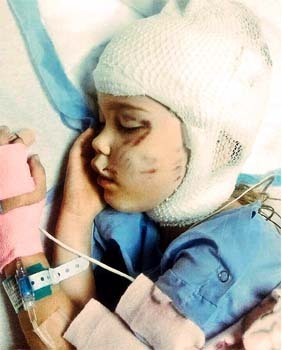 At 3 p.m., Hebrocks said her mother would keep her arm, although it is severely damaged. "She's in quite a bit of pain," said Hebrocks. "And they are giving her rabies shots because there are no records of the dogs having had any vaccinations." Hebrocks also said there are "paw prints" all over her body, where the dogs pinned her down. Another area resident, Jennifer Foister Johnson, said the dogs tried to get inside her home as well. In a court appearance last week, Pope, who was initially charged with 12 misdemeanor counts of animal cruelty related to the treatment of his 12 large Presa Canarios, was told by Boyle District Judge Jeffrey Dotson that he had until noon Wednesday to pick up the dogs. 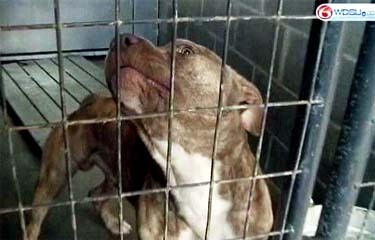 The dogs had been housed at the Danville-Boyle County Humane Society since being removed from his custody. According to Kathy Nelsen, director of the Danville-Boyle County Humane Society, Pope picked up the dogs in multiple vehicles and moved them to a residence on Tom Hackley Road in Lincoln County before the deadline. 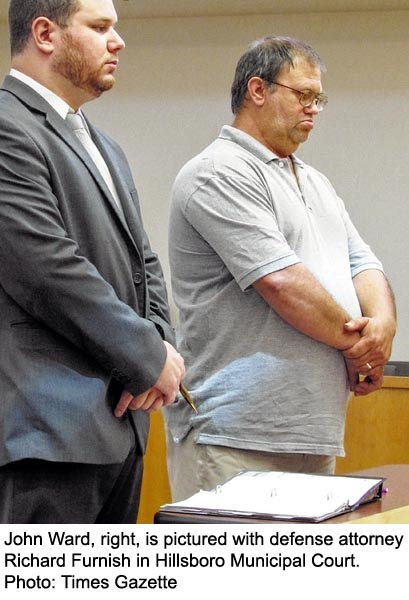 In a plea agreement, Pope pleaded guilty July 2 to 12 reduced counts of mistreatment of a dog or cat under a county ordinance and agreed to pay $100 per count in fines, but that $1,200 will be probated for one year, meaning he won’t have to pay it if he stays out of trouble. Pope also pleaded guilty to 24 violations for not having the dogs licensed or vaccinated, for which he was fined $360 plus court costs for a total of $543. Pope also agreed to pay $5,810 in restitution to animal control and the humane society for picking up the dogs, housing them, vaccinating them and other related expenses. He paid half the amount July 9 per Dotson’s ruling and has six months to pay the remainder. Ultimately, as Danville Police Chief Tony Gray noted during a July 6 “town hall” meeting, the dogs are private property and must be treated as such unless they are determined to be vicious. Pope raised them at a home on John W.D. 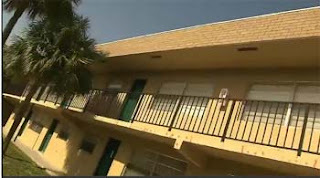 Bowling Court, where they became such a threat to neighbors that 12 of them were picked up by animal control April 21. Five were released into Pope’s care, while the other seven were retained and housed in the kennels at the humane society facility on the Danville bypass until they were released into Pope’s care Wednesday. 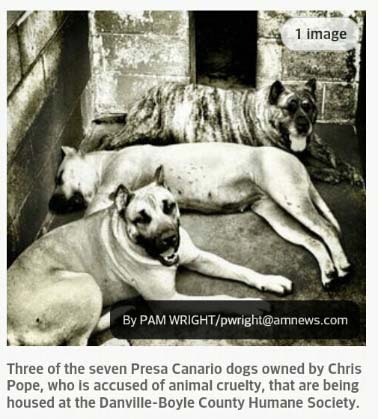 Three other Presa Canarios, which are said to be good guard dogs with proper socialization and training, were found dead when the Bowling Court house caught fire June 20. The decomposed remains of one of the dogs was found in a plastic tub while the remains of the other two were found in a bathtub. No necropsy was conducted; therefore, the cause of death of the dogs was never determined. A status hearing on the case is scheduled for Aug. 5.